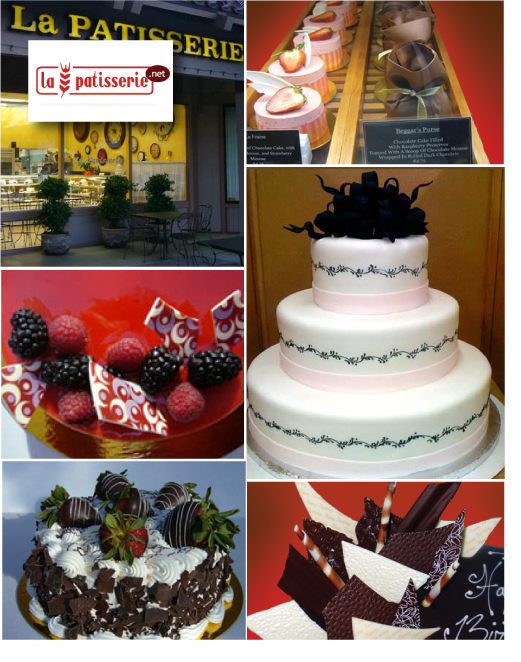 La Patisserie Bakery was opened in 1986 along Stevens Creek Blvd in Cupertino. The name means "Pastry Shop" in French. True to its name, it is a French/Persian style bakery that draws on other European elements such as the iconic English clocks on our wall to show that no matter what time it is, it's always a good time for dessert. The current owners, Fariba and Ali Mirpour and Mojgan and Keyvan Damaghani decided not to stray too far from the original intent of the bakery after they bought it in 2007. The intent was to produce high quality desserts pleasing to both the eye and the palate. While there is a wide range of desserts that we offer, from cookies to petit fours, we are best known for our specialty and wedding cakes. Appointments for wedding cake consultations can be made in person or over the phone from Tuesday to Saturday between 9am-3pm.